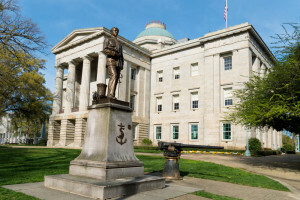 The sole mission of The Institute for the Public Trust is to find, recruit and train the next Thomas Jeffersons, James Madisons, Benjamin Franklins and Alexander Hamiltons for the state of North Carolina and the nation. Seldom do we see people of such caliber and talent offer to run for any public office nowadays. They are ‘out there’; they just don’t run for political office anymore for a wide range of reasons. 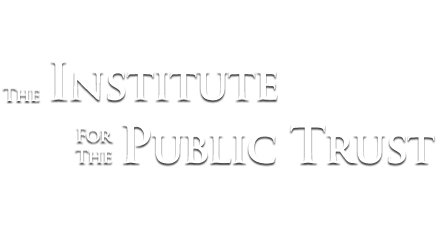 The Institute for the Public Trust is committed to changing their minds by teaching them how modern American politics really operates and why they should be part of the solution and not part of the problem by staying on the sidelines. 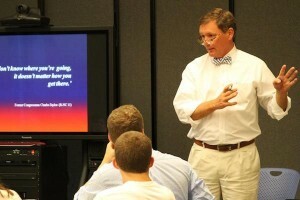 The Institute has trained a retired Rear Admiral from the US Navy; two 3-star retired Air Force Generals; 32 Morehead-Cains, 14 Robertson Scholars, over 60 Park Scholars at NC State among other undergraduate collegiate leaders plus many CEOs, financial managers, accountants, nurses, physicians, architects, engineers and other experts from all walks of life. We have 29 experts in all aspects of running for elective office and then serving as a great elected leader. We bring in the top experts from Washington, DC and around the nation to train our classes on everything from setting up a campaign, raising money for it, when and how to do polling to writing a great stump speech that isn’t boring; putting on makeup for television interviews and how to avoid saying something that will kill your campaign in 6 words or less, as many sadly have done over the years. Our goal is to have every student run at least one time for elective office during their lifetime. Over 30 students have either run for public office now or been appointed to a government position, commission or board which probably would not have happened had they not come through The Institute. Four have been outright winners on either their first or second try. For 2016, we already have seven candidates officially registered to run from Congress to state legislature to county commission to district judge. The Institute is a non-partisan non-profit 501c(3) organization. We need your financial support to be able to continue this important training work of our very best leaders. If you don’t want to run for public office, contributing to The Institute for the Public Trust so we can train others like you is the next best thing you can do to help turn things around in our democratic republic. Know Somebody Who Should Be in Elective Office…But Isn’t Already?